Deep Sleep Meditation – There is no substitute for quality shut-eye, that's why we've created this meditation for restful slumber for you to use as you're falling asleep at night. Deep Breathing Meditation – Deep breathing facilitates relaxation and releases endorphins throughout the body. 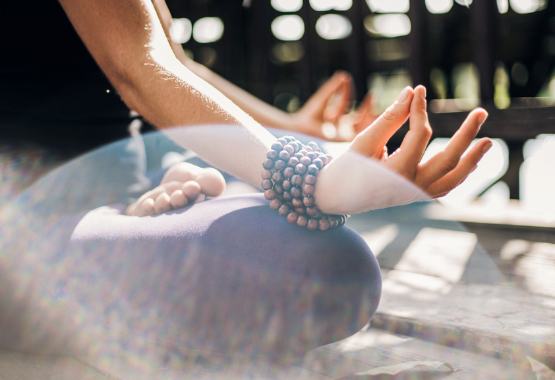 We created this meditation for you to practice deep breathing in a guided format so that you can experience the benefits and hopefully make it part of your everyday life. Vibrant Health Meditation – This potent meditation will guide you to enliven and heal your body, mind, and spirit. Pain Relief Meditation – If you’re experiencing pain, this meditation will lead you through several meditative exercises to help reduce or even eliminate it. Relaxation Meditation – This meditation guides you to a deep state of peace and has you install a “save button” so you can access this state later. Authentic Energy Meditation – Using imagery from Qigong practices, the goal of this meditation is to help you gather and store energy. Grounding Meditation – This meditation will guide you tap into the solid foundation of Earth energy, so you feel stable, solid, and unshakable. Expanding Trust Meditation – A meditation to expand your experience of life by helping you connect to a sense of trust and love. Magnetization Meditation – A powerful visualization to help you clearly see the future that you want, and pull it toward yourself. Equalization Meditation - In this guided meditation you'll learn a special technique for altering your perception and diminishing pain. By learning to equalize strong sensations, you will feel greater freedom in all sorts of uncomfortable circumstances. This approach can also help facilitate healing. Active Acceptance - In this meditation, you'll be guided through a process of exploring the sensory characteristics of the pain you're experiencing (either physical or emotional). As you repeatedly invite the experience of many different facets of the pattern, three things often happen: (1) You gain a sense of freedom and empowerment with relationship to this pain (2) You gain insights as to what's perpetuating the pattern and where it comes from (3) The pattern itself begins to dissolve. Clearing Countdown - This meditation is a guided form of self-hypnosis, which consists of installing a "program" into your subconscious mind for the purpose of clearing the complex, multi-layered patterns that contribute to pain, anxiety, depression, and other forms of stress. Over the course of fifteen minutes, you'll notice a sense of greater peace or even the dissolving of the issue you focus on. You'll also set a "keyword" you can use in the future to access this state. Deep Breathing for Pain Relief - This guided meditation leads you to use your breath to facilitate relaxation, improved circulation, and relief from pain. You'll be led through several different breathing techniques designed to open the body and calm the mind. Forgiveness Meditation - Forgiveness is powerful medicine. Virtually everyone in pain has some degree of inner conflict - blame, anger, despair, grievances against one's body, etc. This guided meditation leads you to unearth these conflicts and let them go. The result is an experience of increased freedom, lightness, and often, a reduction in pain. Forgiveness Meditation with Binaural Brainwave Encoding - This version of the Forgiveness Meditation features additional binaural encoding to induce a relaxed brain state. The recording starts in the alert alpha state and gradually takes to down to deep theta (4 Hz) - the brain waves associated with meditation and deep relaxation. This can facilitate better pain relief and may also enable you to receive and accept the forgiveness statements in this recording. This technology works only with earphones and should not be listened to while driving, giving someone a tattoo, operating a jackhammer, etc. Light Dimming Meditation - In this guided meditation we utilize sensory crossover to diminish pain. You'll learn how to experience your discomfort as a bright light and you'll practicing dimming the light to "dim" your pain. When you're comfortable with the technique, you'll be able to utilize it in a variety of uncomfortable circumstances to quickly shift your perception. This guided meditation will lead you through a visual experience of decreasing your pain. In this fifteen minute meditation you'll spend time fading away your pain again and again, until it no longer troubles you. Two-Point Process - In this audio recording, you will learn an esoteric approach for dissolving pain and other forms of imbalance. Through several exercises, you'll explore the application of "two-point" methods, which are fundamental in acupuncture, shiatsu massage, Matrix Energetics, and other healing systems. The two-point practices often produce rapid results and they can even be fun to utilize. NLP/Qigong Process - In this recording, you will learn several approaches for diminishing pain and negative emotions using a Qigong "energetic surgery" technique and neuro-linguistic programming (NLP). The NLP methods encourage not just lessening of the discomfort, but increased neuroplasticity, whereby the painful pattern can be changed and dismantled. The Well Life: Foundation Course is an eight-part course which teaches the self-care practices that offer the biggest return on your investment of time and energy. We call this “Foundation,” because when you adopt these routines, you will build a strong physical and psychological foundation that will support you to live a healthy and fulfilling life and to live in alignment with your values and purpose. Normally $67, The Well Life Foundation is available for just $15 to Dragontree Apothecary Members. If you need to contact us with questions, feedback, testimonial or a suggestion, please send an email to customerservice@thedragontree.com. All emails are typically responded to within 24 to 48 hours, except weekends and holidays.